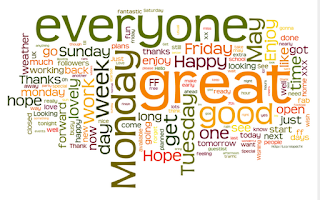 For now, here's a Wordle picture of Twitter in a happy mood, searched for "Bank Holiday" at 5pm on the Friday before a long weekend. Have a great break everyone. Dude, a word cloud????? Mullet of the Internet. Why not just do a 3d pie chart and have done with it. 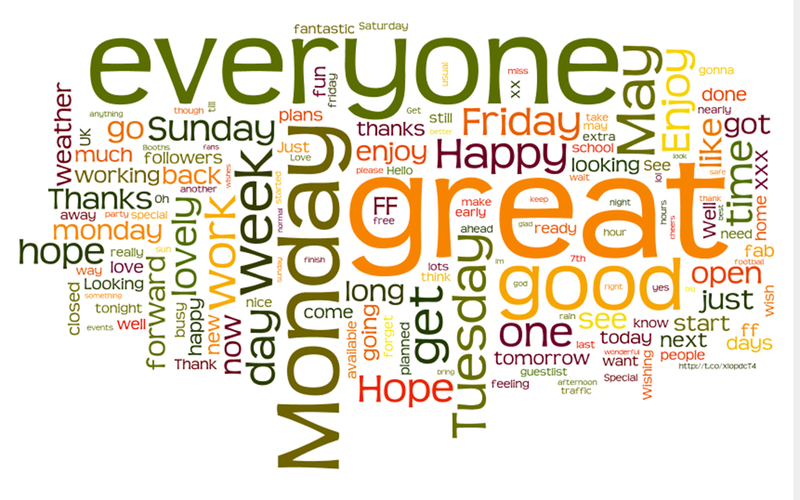 Nothing wrong with a word cloud as long as you don't pretend it's analysis! Anyway, the mullet of the internet is the infographic - that's why most of them are so long.